Tier I Account: This account does not allow premature withdrawal and has been made available to every citizen since 1 May 2009. Tier II Account: This account allows withdrawal only for exceptional reasons prior to retirement age. It is a voluntary savings facility and no tax exemptions are available in this account. Tier I Account is mandatory requirement to open a Tier II Account. Though NPS has been in the market since 2004, it was initially meant for Government employees and was mandatory for the Central and State Government employees. It was later opened for the private sector employees. NPS has not been a popular investment product till now. However, Budget 2015 made NPS more attractive, as explained below. In case of Government employees, all the charges associated to Tier I account including charge are paid by the Government. The charge structure applies to both corporate (non government sector) and individual subscribers. If a private sector employee subscribes to NPS through their employer, then the associated charges are borne by the employer. These charges also apply to individual subscribers. In case of Tier II account, activation charge and transaction charges are paid by the subscriber. 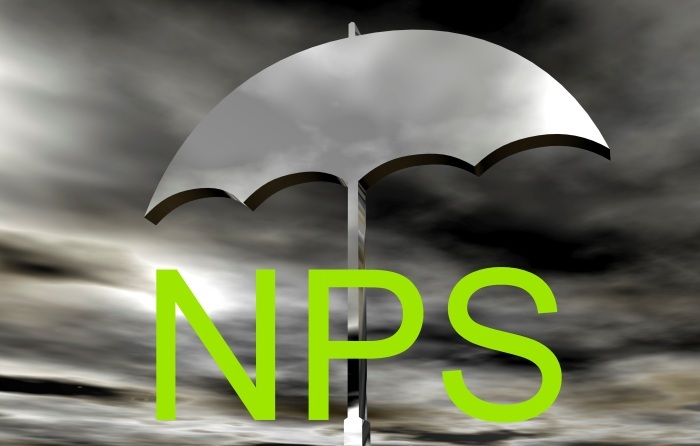 NPS offers complete capital protection. In this option the investment will have a higher allocation in equities, in the form of Index funds. The exposure to equities is capped at 50%. This allocation aims to have moderate risk and reward. The allocation of the investment will be in Debt funds and securities. Partial exposure to the funds may be given to equity and government securities. This allocation has low risk and moderate returns. The allocation will be heavily inclined towards government securities. Minor allocation will be in equities to ensure moderate returns. The asset allocations of the funds are decided upon personal factors of the investors such as age. A young investor will have a higher allocation in equities. The allocation will be shifted towards less risky options such as bonds and fixed income as the age of the investor increases. The investor can decide the asset allocation as per your risk appetite. National Pension scheme enjoys tax saving under Section 80C at the time of making the investment and is also tax exempt during the tenure of the investment. However, one of the major setbacks of the National Pension Scheme is the taxation policy at maturity. Other tax savings schemes such as ELSS and PPF enjoys tax advantage at all three stages of investment, i.e at the time of the making the investment, during the tenure of the investment and on maturity of the investment. For government employees commuted pension is tax free. Commuted pension is payment of a lump sum amount in lieu of a portion of the pension surrendered by the pensioner. For non government employees, whose employers offer NPS, they may enjoy tax exemptions u/s 10 (10A). If a non government employee investing in NPS does not receive gratuity, up to 50% of the total corpus is received as commuted pension which will be tax free. If gratuity is being paid then only 33% of the corpus is tax free. While the Government provides tax exemption, the taxation during maturity is hefty. 40% of the corpus before it has been taxed must be used to purchase annuity. Further the investors should note that the income from the annuity is taxable. Let us consider a hypothetical scenario to better understand the tax implications. Anita has a corpus of र 3 crores when she retires. She can withdraw upto 60% of her corpus and 40% of her corpus (र 1.2 crores) will be used to purchase annuity from LIC. Since, she did not receive gratuity, 50% of the corpus after purchasing the annuity (र 1.8 crores) will be tax exempt and the remaining 50% is taxable. Hence, र 90 lacs is tax free and the balance 50% will be treated as income by the Government. Hence, taxes are to be paid as per the income tax slab of 10%, 20% or 30%. If Anita falls under the income slab of 30% she will have to pay र 27 lacs as taxes. Let us assume Anita received a gratuity. After purchasing annuity for 40% of the maturity corpus (र 1.2 crores), out of the renaming 60% (र 1.8 crores), only 33% of this amount i.e. र 59,40,000 thousand is tax free. The remaining 67% will be taxed depending on Anita’s income slab. The taxations policy has often been criticized as being discriminatory. The private sector employees do not get the same benefits as the public sector employees. The self employed receive the least of benefits. The commuted withdrawal tax exemption is only applicable for NPS offered by an employer. An individual who does not have a corporate NPS account but invests directly is not eligible for tax exemptions u/s 10 (10A). This policy makes it unfair for the self employed as they do not even enjoy the exemptions given to the private sectors. NPS like any other scheme has its positives and negatives. While it allows tax exemption upon investment up to र 50,000, it is taxable at the time of maturity. NPS does not guarantee fixed returns. However, it does provide capital protection. NPS allocation is up to 50% in the equities making it a moderately risky but rewarding scheme. The new reforms have definitely made the NPS scheme lucrative to all investors who were looking for a retirement scheme.